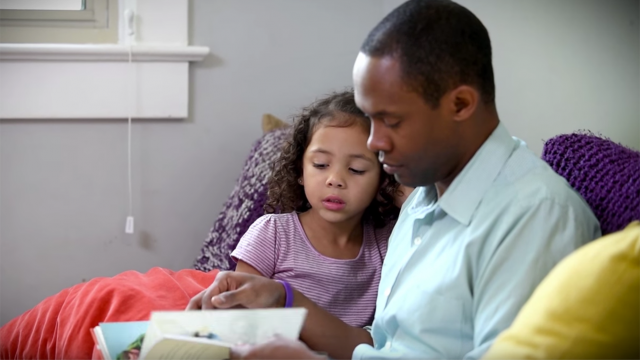 Today, HRC Foundation released a first-of-its-kind web video exclusively featuring fathers of transgender children describing their experiences. The video also highlights the fear and hurt their families face due to anti-transgender prejudice and policies. The fathers highlighted in video include JR Ford of Washington, D.C.; Joe Ghartey of New York; Wayne Maines of Maine, whose family’s story was also featured in a recent best-selling book, “Becoming Nicole,” and Keith Thomas, of North Carolina, a state that lies at the center of the debate over transgender equality following passage of the discriminatory HB2. The dads discuss their families’ journeys and the hopes and fears they have for their transgender children. “As more and more people realize the humanity and dignity of transgender people of all ages, the mean-spirited and dangerous attacks we have seen from anti-LGBTQ activists and some politicians will grow increasingly unpopular and unsustainable,” Brown continued. The emotional video of four dads comes during the Republican National Convention, where, earlier this week, delegates adopted the most anti-LGBTQ platform in their party’s history, including a plank opposing the transgender equality. HRC has joined with several LGBTQ advocacy organizations to support a national ad campaign detailing the personal harm imposed by anti-transgender legislation. The ad will appear during both the Republican and Democratic conventions. In 2015, the HRC Foundation released another moving video, Moms for Transgender Equality, featuring four mothers of transgender children sharing their stories and explaining how their transgender children have enriched their lives. The Moms for Transgender Equality video and companion videos were viewed more than 7.5 million times over various social media platforms.